Please do NOT attempt to purchase these deals anymore. They were a one day sale only, therefore we will not honor them if purchased after December 26th, 2013. Your money will be refunded. Don't let those bushy hairs take away from your beautiful eyes! Come get your wax done at only half price! No substitutions. No cash value. Can purchase unlimited coupons. Never expires. Need a boost of moisture this dry winter? Try a deep treatment... a quick way to get a little more softness to your locs at only half price! Dry? Damaged? Weak hair? 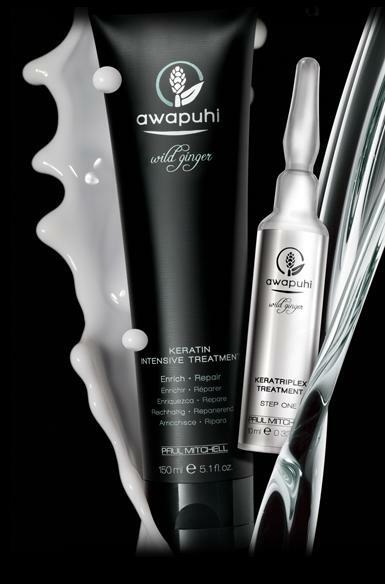 Our Awapuhi keratriplex treatment is the best solution! 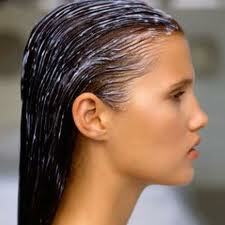 Enjoy the two step wonders of rebuilding the strength in your hair and adding moisture at the same time. Recommended after every color service and especially if you have bleached your hair. At $25 regular price this is a steal of a deal! Just for men... Purchase one cut & get your next one FREE! Valid only for mens cuts. Next cut must be scheduled at the end of the appointment. Not valid on any other services. No cash value. No substitutions. Can purchase unlimited coupons. Never expires. Save $20 on your next retail purchase! Purchase this deal for only $20 and get a $40 discount when you make your next purchase. Valid only on retail items. Not valid on services. Can not be used on retail that is already on promotion. Entire amount must be used on one bill. No substitutions. Can purchase unlimited coupons. Never expires. The perfect steal of a deal... Save $20 on any hair service! Purchase this deal for only $20 and get $40 off during your next visit. Valid only on hair services. Not valid on retail. Can not be used on services that are already on promotion. Entire amount must be used in one visit. No substitutions. Can purchase unlimited coupons. Never expires. Ladies... Purchase one cut & get your next one FREE! Valid only for womens cuts. Next cut must be scheduled at the end of the appointment. Not valid on any other services. Extra $5 charge to schedule cut with Stephanie. No cash value. No substitutions. Can purchase unlimited coupons. Never expires. 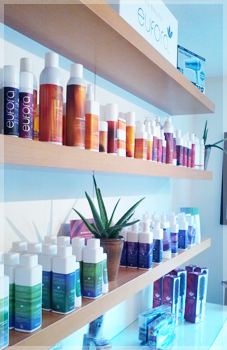 Spruce up your color with our amazing stylist Aura! She will help you choose the shade you desire and clean up your ends, leaving you ready for a night out on the town! Valid only with stylist Aura (she works just on Saturdays). Can not be combined with any other promotions. Valid only for a solid color. No substitutions. Extra charges may apply for any changes/upgrades. Can purchase unlimited coupons. Never expires. Add a little glow with some highlights or a subtle contrast with lowlights. Whichever the case our stylist Carrie-Anne can help you out. With a cut and style included, your color will make you feel refreshed and ready for anything! Valid only with stylist Carrie-Anne. Not valid for any other services. Includes a partial foil, upgrade to a full head for $50 extra. No substitutions. No cash value. Can purchase unlimited coupons. Never expires. Longer thicker hair in only an hour? Yes its true! 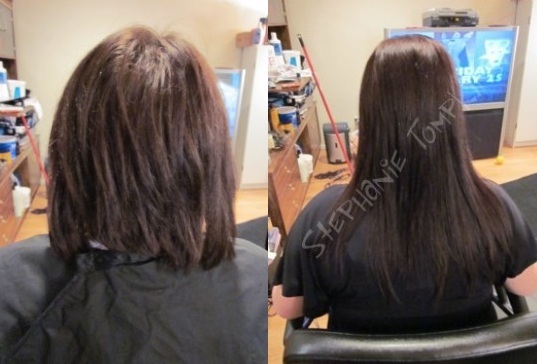 Bring your own hair and our experienced extensionist Stephanie will work her magic to change your look in no time. Leave feeling amazing with blending and styling included PLUS stay on top of your maintenance with your 4 week tightening also included in this deal. Valid only for track n sew extensions (3 tracks). 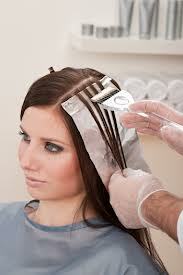 Four week tightening service must be scheduled at the end of the appointment. Not valid for any other services. No cash value. No substitutions. Can purchase unlimited coupons. Never expires. 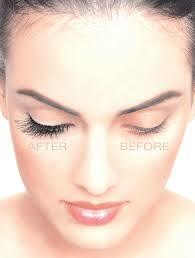 Now is the time to purchase this amazing deal and finally try out those eyelash extensions! Individually applied to each of your eyelashes, these extensions will make your day everyday! They are lightweight and eliminate the need to use mascara. Wake up feeling naturally beautiful PLUS keep them looking that way with your 2 week fill also included in this deal. Valid only on eyelash extensions. Two week fill service must be scheduled at the end of the appointment. Not valid on any other services. No cash value. No substitutions. Can purchase unlimited coupons. Never expires.